The Customize Windows > Computer and Internet > Cloud Computing > What is Data Defined Storage? We Often Hear the Terminology Data Defined Storage in the Context of Big Data. What is Data Defined Storage? Data defined storage is factually marketing termiology. The terminology is used for data related application and storage. In this brief article, we will discuss what apparently the terminology means. 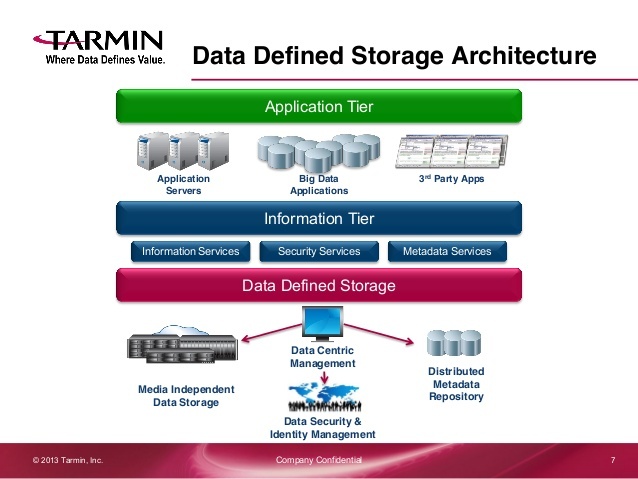 Data defined storage has dual benefits of object storage and software-defined storage. Pillars of these storages can be mapped to through a process of unification. In such setup, users, apps and devices gain access to a repository of captured metadata providing a flexible and scalable platform for storage of data. So the total technology in essence abstracts the data entirely from the storage part. Primarily the matter is at software level. The terminology possibly first was used for object storage with open protocol access for file system virtualization. So protocols include CIFS, NFS, FTP, REST APIs and others like we use for Amazon S3, OpenStack and so on. As like any other cloud service, Data Defined Storage has similar advantages and disadvantages. It is factually more towards traditional Software as a Service (SaaS). This Article Has Been Shared 2930 Times! Articles Related to What is Data Defined Storage? Title: What is Data Defined Storage? Cite this article as: Abhishek Ghosh, "What is Data Defined Storage?," in The Customize Windows, March 12, 2018, April 23, 2019, https://thecustomizewindows.com/2018/03/data-defined-storage/.